If you’re looking for coach hire in Sheffield or Bradford, or are heading to Sheffield or Bradford from somewhere else, then why not let National Coach Hire organise your trip? We are experts in travelling around the north of England, and can source the best coach hire quotes in Sheffield and Bradford. Cities in this area of Britain have long since moved away from their reputation as dour and industrial, and have over the last few years managed to successfully swap manufacturing for culture. Sheffield, for example, has undergone extensive urban renewal, moving away from its steel heritage, and gradually changing into an exciting and modern city. Similarly Bradford, like its nearest neighbour, Leeds, has recently begun to spin away from its heritage as a centre for the British wool trade, and is undergoing an ambitious plan to change the face of the city centre into a new kind of urban park. 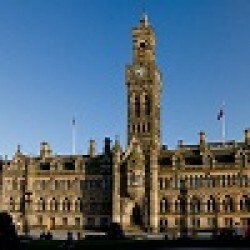 Similarly, its vibrant multicultural community has given Bradford an exciting and eclectic nightlife and reputation for some of the best dining out in Britain. Both cities, have, along with the beautiful surrounding countryside, much to see, and there is no better way to take it all in than by coach with National Coach Hire. Sheffield is known for its young and vibrant nightclub and music scene, inspired by and supporting the massive university populace. Similarly, an ever more eclectic selection of restaurants, a growing number of art galleries and a host of attractions recognizing the cities earlier industrial heritage, have seen Sheffield’s stock rise. From the Kelham Island Museum to the Millenium Gallery and Gardens, much influenced by John Ruskin, Sheffield is a city that deserves to be properly explored. National Coach Hire will help you take advantage of everything Sheffield has to offer – traveling by coach is the best way to do this, and allows you to experience not just the city, but all of the stunning landscape on its outskirts. Should you wish to visit Bradford, you will similarly find another city with the right balance of the industrial and the modern; epitomized by the Salts Mill in Saltaire (a Victorian-era landmark and UNESCO World Heritage site), a wonderfully renovated industrial building with shops, dining and galleries, including a permanent exhibition of David Hockney’s work. Likewise in Bradford itself, the SDC Colour Museum (The Society of Dyers and Colourists) tells the history of Bradford’s industrial wool-dyeing heritage, whilst The National Media Museum examines more modern culture, following the history of radio, photography, film and the internet. Coach hire gives you and your group a flexibility that train, plane and car cannot match; whether it’s for sport, or business, drinks or shopping, having the coach waiting for you makes the most of your time and leaves you to see all of the attractions on offer. From Sheffield and Bradford, to nearby Leeds, there’s a great deal to see in the area. Moreover the rest of the Midlands, known as ‘the heart of England’, contain some stunning scenery and attractions. From Warwick Castle, still beautifully intact, and the moody ruins of Kennilworth, to Stratford-upon-Avon, home to England’s favourite son, William Shakespeare, the Midlands have everything. The landscape varies from the rural Moorland tops and walking trails of Britain’s first national park ‘The Peak District’, to the stone buildings of many ancient villages, to the caves and spas around Buxton and Castleton. Why not use coach hire as a way of trying out parts of the Penine Way, the 268 mile long footpath stretching through the Peak District, and perhaps better appreciated in smaller sections! Whatever your needs, and wherever you’re heading, National Coach Hire can help you experience and truly appreciate the Midlands, and all it has to offer. Just a quick note to say thanks again for the short notice hire, we would have been lost without you, coaches arrived on time and they were exactly as described on the phone, will be in touch again soon. Chris B. Treasurer – London Educational Organisation. I just wanted to let you know that the minibus I booked last week was fantastic and the driver was punctual both ways (and very patient with 16 women in the back!) I hope to have more bookings in the future with you. Julie G. – Household name product. As always a pleasure to deal with, this is our 6th trip with you and will be booking our 7th shortly, again the drivers were great and made the passengers at ease with their quick wit, nothing was too much trouble. Tracy C – Midlands organisation. We do not charge any booking fees or administration charges. We will always give you the very best deal available at the time of your enquiry. 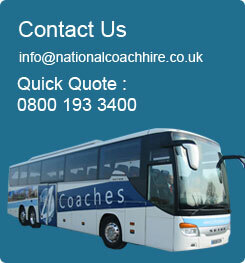 There is no VAT payable on coach hire.